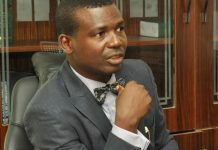 Two years ago, Maduka Onwukeme and his client were hurrying to the car park after the hearing of their matter at the Ogba Magistrates’ Court in Lagos, when a prosecutor ran after them. The lawyer told The Nation that he could not have imagined what happened next. “I couldn’t get my eyes off his unkempt coat and badly worn out shoes as I wondered how come he never wore good clothes with the demand for bribes and dirty money. The Federal Government’s suspension of Chief Justice of Nigeria (CJN) Walter Onnoghen on January 11, following a Code of Conduct Tribunal (CCT) order caught everyone by surprise. According to the government, the suspension subsists until the conclusion of his trial at the CCT. Chief Justice Onnoghen is to stand trial before the CCT on a six-count charge of failure to declare some of his assets, including about $3million, said to be lodged in five accounts. A Bank Verification Number (BVN) search may also have exposed more accounts linked to him. Although he was not accused of graft, his travail has renewed interest in judicial corruption. But corruption in the judiciary, like in other sectors, is not new. Stakeholders have long recognised its prevalence. On February 17, 2012, the Nigerian Bar Association (NBA) accused some Senior Advocates of Nigeria (SANs) and retired judicial officers of complicity in judicial corruption. Then NBA President Mr J.B Daudu (SAN) said at a valedictory court session held in honour of the late Justice Anthony Nnaemezie Christopher Aniagolu: “Corruption is now a live issue that is threatening to tear apart the foundations and fabric of the society. Daudu promised to identify and hand over the culprits to law enforcement agencies for prosecution. He never did until he left office. The Confirmation of the scale of the problem came in August 2017 when the United Nations Office for Drug and Crimes (UNODC) released its corruption report. The report accused police officers, judges and prosecutors as the most corrupt public officials in Nigeria. The survey titled: Corruption in Nigeria – Bribery: public experience and response, was presented in partnership with the National Bureau of Statistics (NBS). It estimated the average bribe paid to judges/magistrates as N18, 576 while prosecutors received an average of N10, 072 as bribes from Nigerians. A shocking episode in the nation’s judicial history occurred at midnight, October 8, 2016 when the Department of State Services (DSS) raided the home of judges in the Federal Capital Territory (FCT), Rivers, Gombe, Kano, Enugu and Sokoto states on suspicion of corruption. Items and cash in local and foreign currencies were recovered. Affected in the raid were Justices Adeniyi Ademola and Nnamdi Dimgba of the Federal High Court Abuja; Mohammed Liman, Federal High Court Port Harcourt; Justice Muazu Pindiga, Gombe High Court; Justice Kabiru Auta, Kano High Court; Justice Samia, Sokoto High Court; A.I Umezulike, Chief Judge, Enugu State; and Justices Sylvester Ngwuta and John Inyang Okoro of the Supreme Court. Most of the judges were eventually not charged while none of those tried was convicted by the courts. Onwukeme’s experience typifies one way through which judicial corruption is perpetrated. A middleman, usually an unscrupulous prosecutor, secretly approaches a defendant or his lawyer and offers to influence a magistrate on the defendant’s behalf. Sometimes it is the defendant who financially induces a prosecutor to attempt to influence the magistrate. The process is similar at courts of record, but here, the parties and forms of inducements are higher: Retired judges, senior lawyers, politicians, journalists hold sway. The stakes are also higher. An upright and fearless judicial officer may make an official complaint and get the go-between in trouble. An unbending judicial officer also stands the risk of physical harm. In 2017 during a criminal trial at a Lagos High Court, the defence counsel accused the prosecutor – an Economic and Financial Crimes (EFCC) lawyer – of asking for a bribe to withdraw the charge. He alleged the prosecutor made the offer when both parties met on an airplane. But the furious EFCC counsel described the allegations as pure falsehood, referencing the several allegations of misconduct against the accusers. The accuser was subsequently disbarred by the Legal Practitioners Disciplinary Committee (LPDC), and his name struck off the Roll of Legal Practitioners by the Supreme Court, but for an unrelated misconduct. In 2014, former President of the Court of Appeal, Justice Ayo Salami (retd), took the Bar and Bench to the cleaners over corruption and intimidation of judges. He spoke during the opening ceremony of the biennial law week of the Nigerian Bar Association (NBA), Ilorin chapter. Salami said: “It is my respectful view that appeal should be made to these retired senior justices to leave the despicable role of bribing or intimidating judges. They should engage themselves in other respectable vocations. “The judges, who lend themselves to these dishonourable practice of receiving money or lending themselves to perverting the course of justice under the guise of not receiving reward monetary or otherwise, should note that there are other means of checking the excesses. The National Judicial Council (NJC) is the body charged with recommending to the President/ Governor individuals for appointment into judicial posts, or for removal from judicial posts. Such individuals must have spent between 10 and 15 years practicing Law, depending on the level of appointment. Constitutional requirements for judicial appointment are spelt out in Chapter VII of the 1999 Constitution (as amended). But in practice, the process is not so transparent and accusations of cronyism, favouritism and lobbying are commonplace. For instance, it is not unusual at state and federal levels for children or close relatives of judicial officers to also become judges, raising suspicion that some of the appointments may have been influenced. Last March 3, a former Chief Justice of Nigeria (CJN), Justice Mariam Aloma Mukhtar, blamed ‘godfatherism’ and lobbying in appointments as responsible for the falling standard in the nation’s judiciary. Mukhtar, the first female CJN, was reputed for taking strong disciplinary actions against erring judicial officers during her tenure from July 16, 2012 to November 20, 2014. Speaking in Abuja, at a book presentation in honour of a retired female Justice of the Supreme Court, Justice Clara Ogunbiyi, she warned stakeholders and the National Judicial Council (NJC) to discourage the trend, otherwise risk having an incompetent and weak judiciary. She said: “I will, at this junction, revisit the issue of lobbying and in addition favouritism and godfatherism in the appointment of judicial officers. “It is sad that we allow the rising culture of lobbying to influence appointment in the judiciary. ”If we are to revive what held sway in the past, that is, maintaining a strong and competent judiciary, then merit should be the watchword. Lobbying, favouritism and godfatherism should be discouraged and discarded, as they lead to the fall in the standard, and instead of enhancing the institution; they devalue and weaken it because of incompetence of the personnel. Last October, a former Nigerian Law School Deputy Director-General, Prof Ernest Ojukwu (SAN), lamented that the NJC had not got it right with the appointment of judges. According to the Senior Advocate, at least 10 to 25 per cent of corrupt lawyers, magistrates and court registrars appointed as judges are persons of shady character. “Even when there is evidence pointing at these men and women, we have seen the NJC look the other way when recommending their appointment as judges. “Recently President Buhari devalued the integrity of NJC by rejecting the recommendation of some proposed judges on grounds of questionable integrity. “If we don’t get the integrity issue right at the point of appointment of judicial officers and other personnel, it would be very difficult to get it right at the cleansing stage,” Ojukwu said. The eminent professor of law said some lawyers of questionable integrity have also been appointed as NJC members. He added: “These lawyers have been nominated by Presidents of the Nigerian Bar Association. It is terrible that we have such diminished personality on the NJC. “Of course the NBA has been a colossal failure at assisting in the cleansing of the judicial system. During a special session of the Supreme Court to mark the commencement of the 2015-2016 legal year and the swearing-in of newly conferred SANs, then NBA President, Augustine Alegeh, SAN, raised the issue of judicial corruption. Alegeh said: “It is indeed very worrisome that certain judicial officers still engage in rendering judgments for a fee. Instances abound where judicial officers have resorted to turning the law on its head and making pronouncements which are at variance with the provisions of the law. While Daudu’s NBA promised to set up an anti-corruption commission to identify and hand over the culprits to EFCC or ICPC for prosecution, Alegeh also said the association would act on the matter. But none of the NBA chiefs was able to disclose the names of corrupt judges and senior lawyers involved in the practice. Executive Director, Socio-Economic Rights and Accountability Project (SERAP), Adetokunbo Mumuni, told The Nation that judges exist on a high pedestal. So, knowing all these, why do some judicial officers, give in to the temptation to compromise their calling? 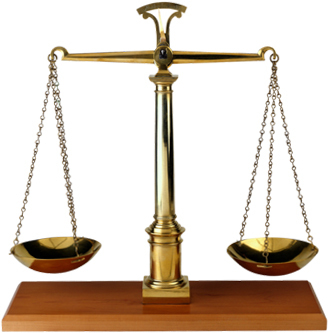 Are judicial officers underpaid? Is that the problem? In 2017, the Nigerian Bar Association (NBA) nominated nine lawyers, including six SANs, for appointment as Justices of the Supreme Court at the instance of CJN Onnoghen. Two years later, nothing has been heard about the plan. At the maiden annual lecture of the Body of Senior Advocates of Nigeria (BOSAN) held last June 28, CJN Onnoghen lamented that the Bench was no longer attractive to the brightest lawyers. Onnoghen, in a no-holds-barred discussion, said many SANs were so wealthy from law practice that they were not interested in switching from the Bar to the Bench. Perhaps, this explains why the CJN was unable to send lawyers straight to Supreme Court? Onnoghen said: “We (SANs) feel so big, in fact, the way some of you address the Bench, you look down on the judges. Yes, it’s the truth. Let’s talk to each other man to man. You look down on the judges. In a 2015 interview with The Nation, a retired judge of the Ogun State Judiciary, Justice Babasola Ogunade explained how joining the Bench could adversely affect a lawyer’s earnings. But Mumuni does not feel judges’ remuneration should be an excuse. Fear for life after retirement? Could fear of survival after retirement push judicial officers to compromise their integrity? Justice Ogunade noted that unstable pension might be a concern for judicial officers nearing retirement. In December 2016, 32 retired judges, including five retired state Chief Judges in Anambra State, led by Justice Godwin Ononiba (retd), sued Anambra State Governor, Willie Obiano, at the National Industrial Court of Nigeria for non-payment of their severance gratuity, upward review of pensions, arrears of housing allowances and overall welfare. Only 19 of the litigants were still alive when the suit, marked: NICN/Awk/43/2016, was filed. According to the suspended CJN at the BOSAN lecture, Judges, particularly at the Supreme Court level, are nearly being worked to death. Onnoghen said: “Look at the job of a judge, particularly with political matters all over: nobody wants to do justice to his fellow human being except it goes to court. Even when it gets to court, you are not ready to accept what the court says, whatever the court says, it must have been compromised one way or another. A 2016 report obtained and computed by the Economic intelligence magazine showed that the total emoluments of judicial officers in Nigeria range between N10,899,284 per year or N908,273.67 per month for Justices of the Supreme Court and N7,940,856 per annum or N661,738 monthly for a Judge of the State Customary Court of Appeal. The report showed that the Chief Justice of Nigeria (CJN) earns N6,727,945.00 per year or N560,662.08 monthly, noticeably less than his brother Supreme Court Justices. But like the President of Nigeria, the holder is to be provided with vehicle maintenance and fuelling, domestic staff, entertainment, utilities and newspapers. Accommodation and furniture will also be provided for the CJN, while annual leave, severance gratuity and vehicle loan which is optional will be 10 per cent, 300 per cent and 400 per cent respectively. His duty tour allowance within Nigeria is settled at N50,000 per night, while that of overseas or Estacode amounts to $2000.00 per night. Furthermore, the CJN has 25 per cent of his annual basic salary reserved for personal assistant and outfit each or its equivalent of N840,993.13 respectively. The holder also has half of annual salary as hardship allowance which amounts to N1,681,986.25. (See table). Justice Ogunade believes judicial financial independence is key to putting an end to pension irregularity. Can the Judiciary fix itself? The Justice Reform Project (JRP) certainly thinks so. 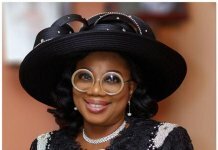 The SANs are: Messers Ebun Sofunde, Kayode Sofola, Kola Awodein, Ademola Akinrele, Osaro Eghobamien, Babatunde Fagbohunlu, Wemimo Ogunde, Dr. Eyimofe Atake, Mrs. Olufunke Adekoya, Mr. Oluwafemi Atoyebi, Mr. Yemi Candido-Johnson, Mr. Olasupo Shasore, Dr. Babatunde Ajibade, Jibrin Okutepa, Mr. Olumide Sofowora, Prof. Ernest Ojukwu, Mr. Olatunde Adejuyigbe, Dr. Adewale Olawoyin, Mr. Adeniyi Adegbonmire, and Mr. Oyesoji Oyeleke. Calling for urgent reforms in the judiciary, the senior lawyers said: “It must be obvious to everyone that the time has come for urgent self- introspection and evaluation with the ultimate aim of a robust systemic reform of the Nigerian judiciary and the legal profession. They include: the composition, constitution, functions and internal controls of the NJC, the process for the appointment, continuing education and promotion of judicial officers, the process for the discipline and regulation of judicial officers and the terms and conditions of service of judicial officers. Others are judicial ethics, values and the relationship of the Bench with the Bar, the process for the appointment of lawyers to the Body of Benchers, composition, constitution and internal controls of the Legal Practitioners Privileges Committee, the process and criteria for the conferment of the rank of SANs. They also include the roles and responsibilities of SANs, regulation and discipline of Legal Practitioners, ethics, values and standards of legal practice as well as composition, constitution and internal controls of the National Executive Committee of the NBA.